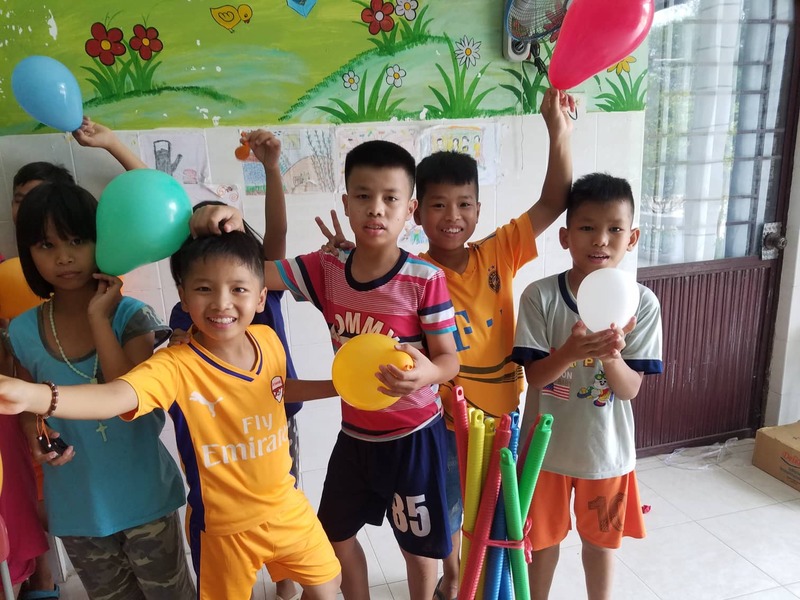 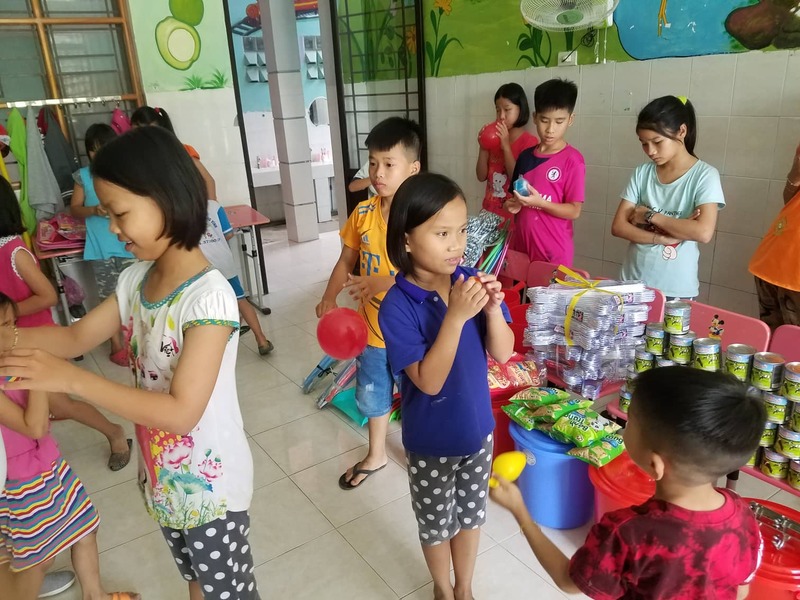 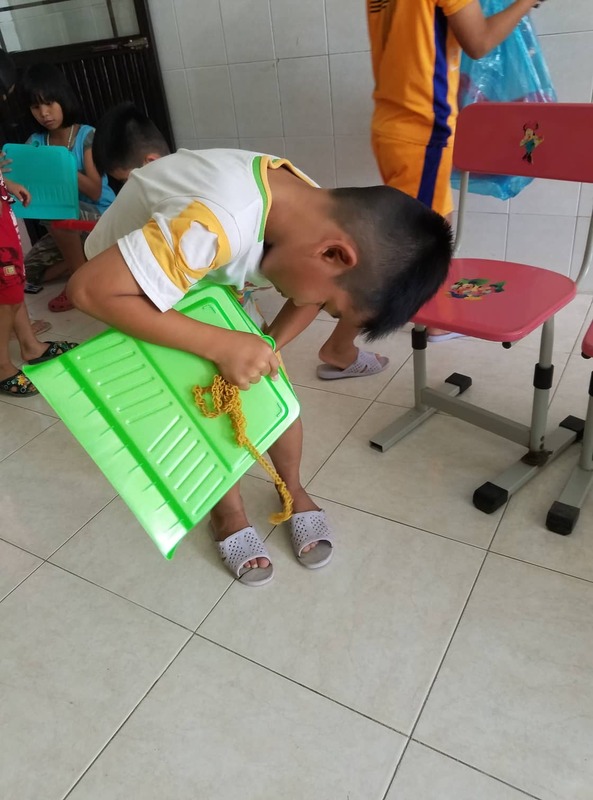 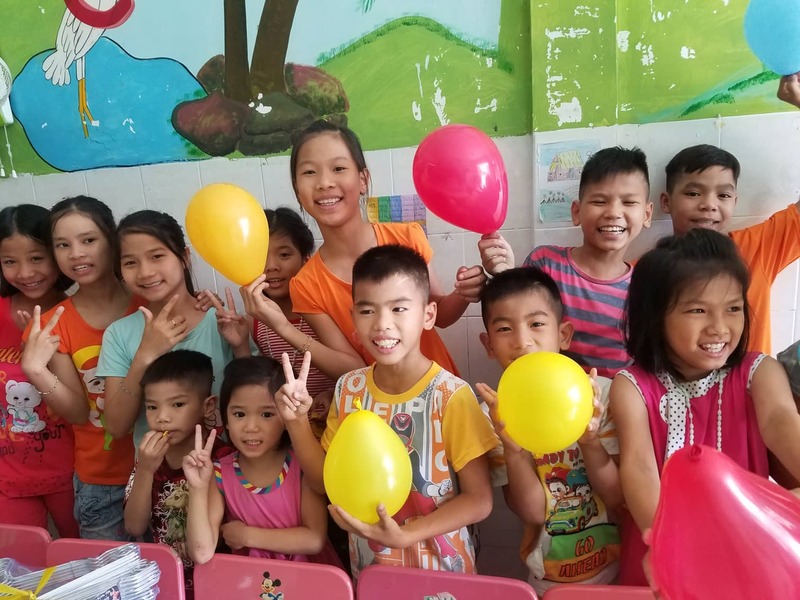 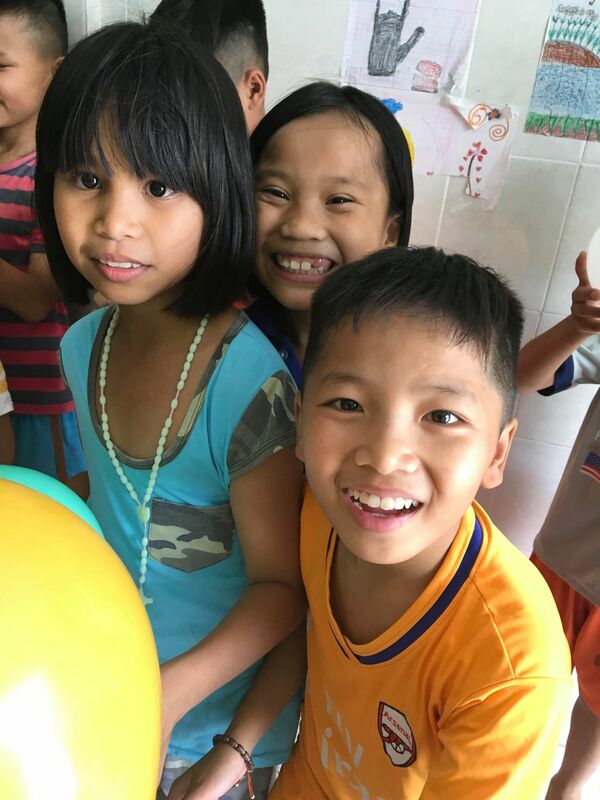 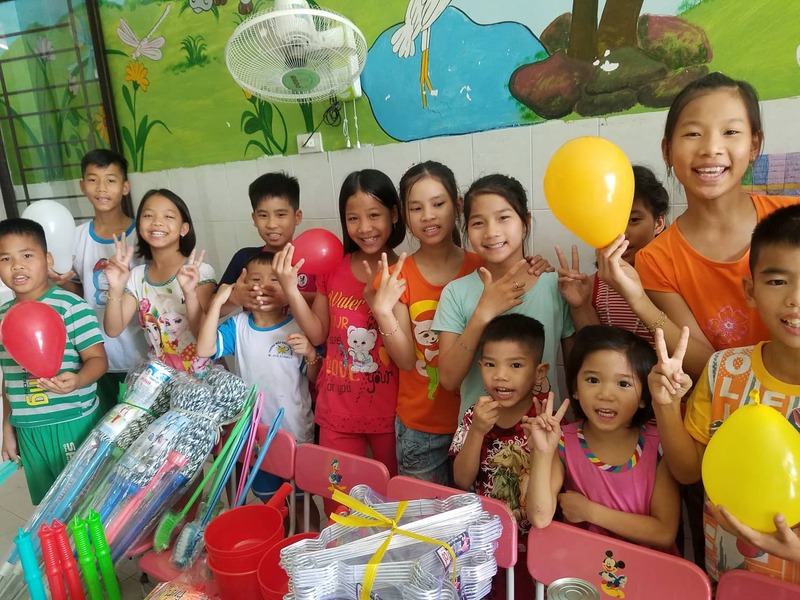 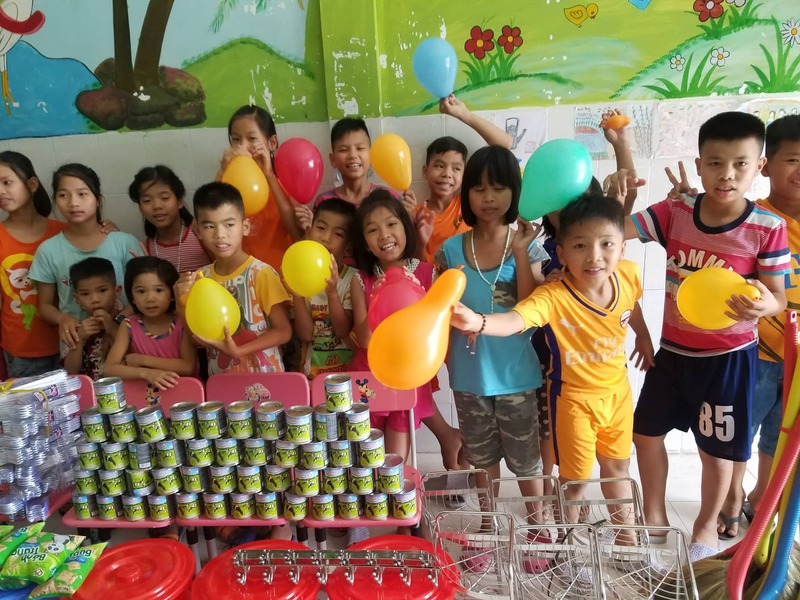 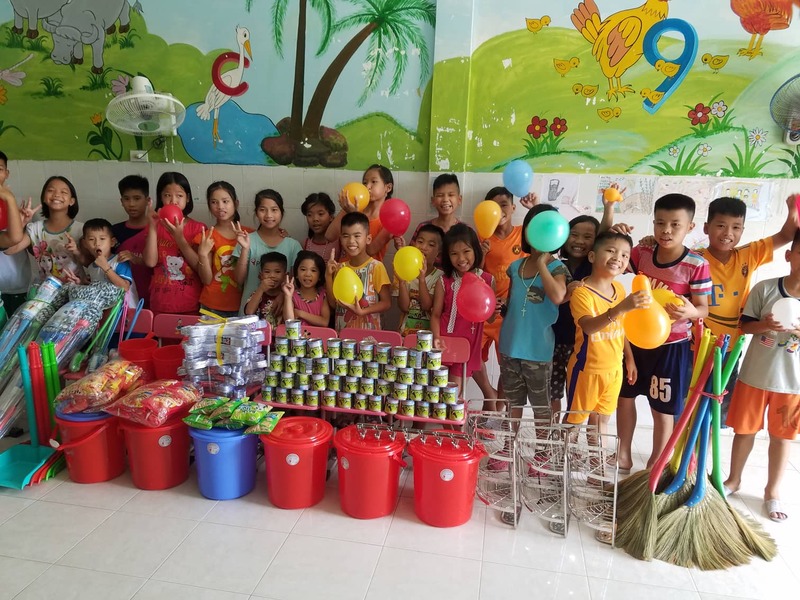 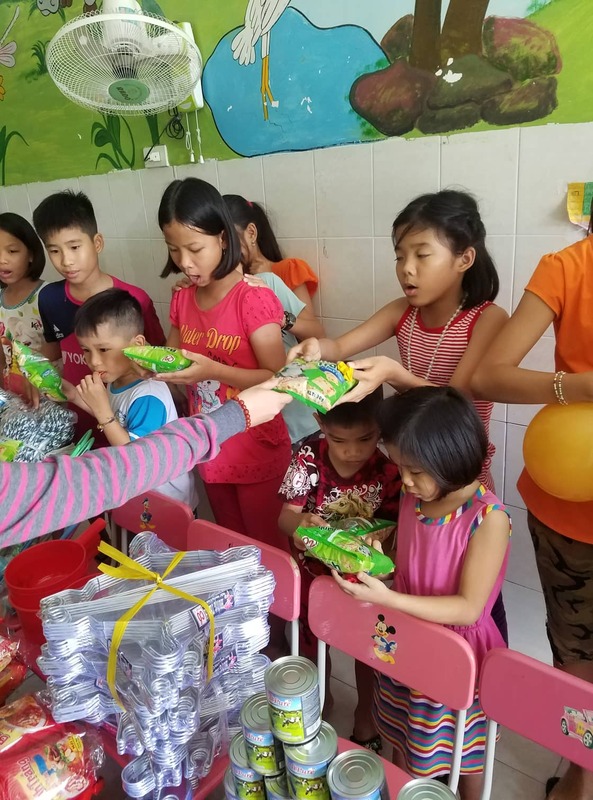 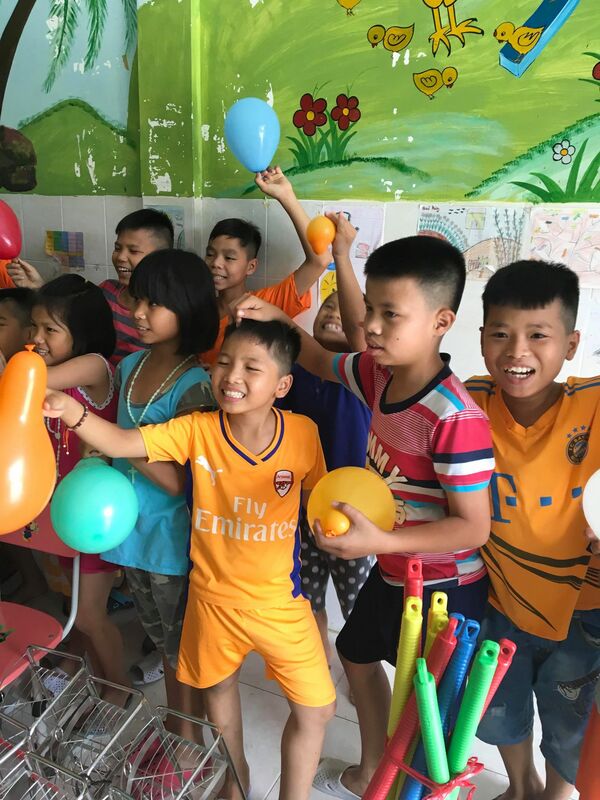 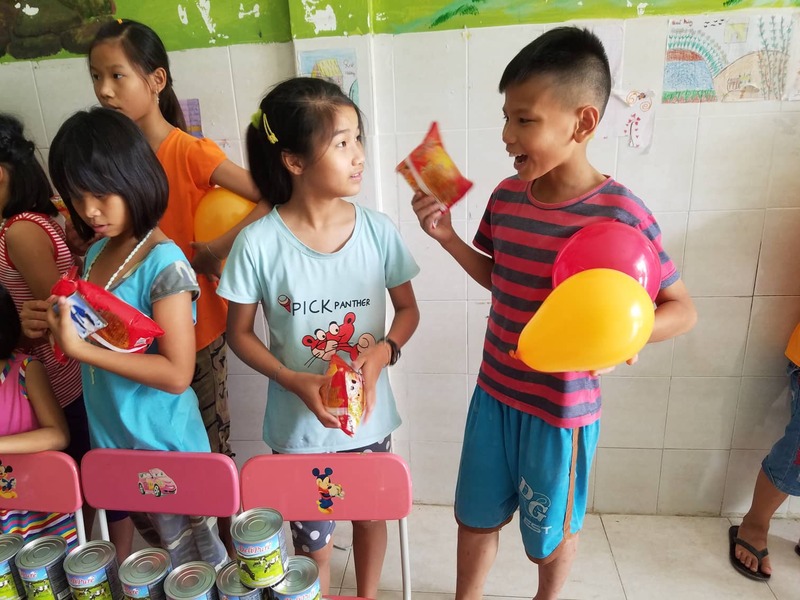 On May 5, 2018 we visited the Dai An Orphanage with lots of essential supplies. 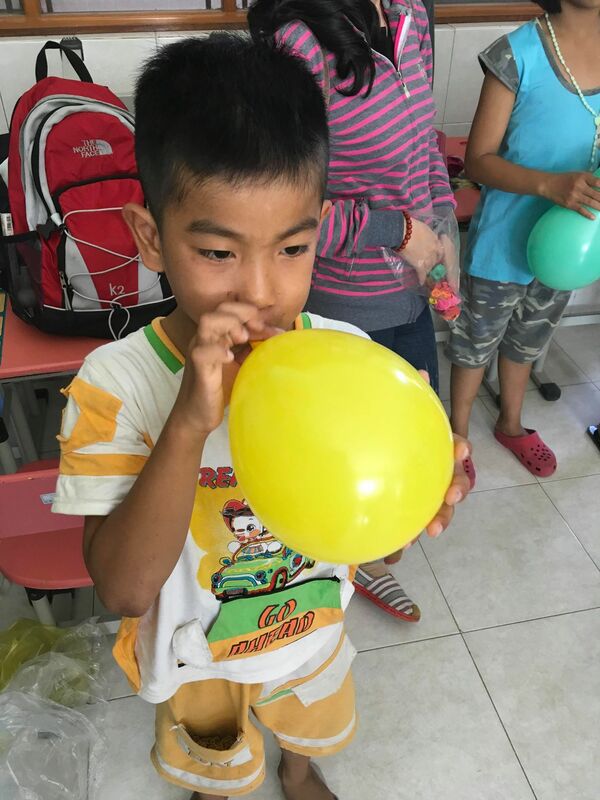 Dai An is a loving home to a group of young orphans, located in the peaceful countryside to the south of Nha Trang. 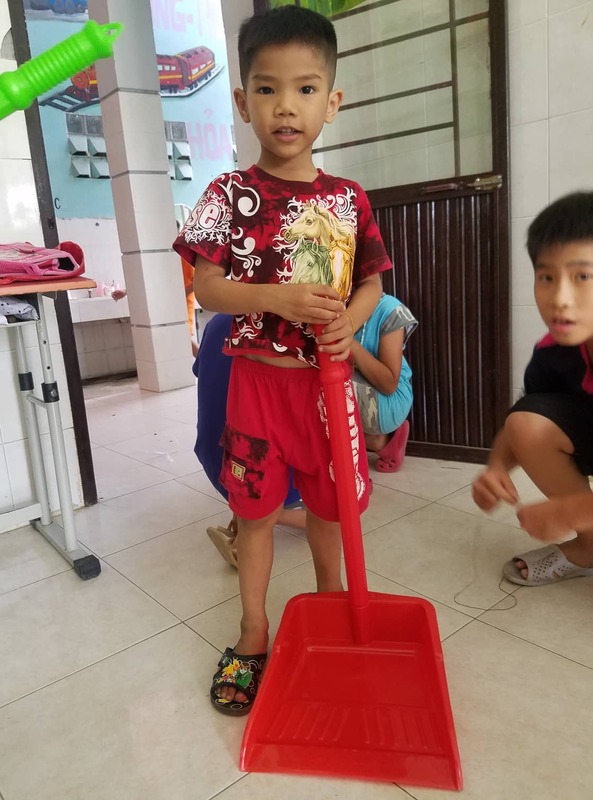 We contacted the orphanage’s caretakers and asked what they were in need of at the moment. 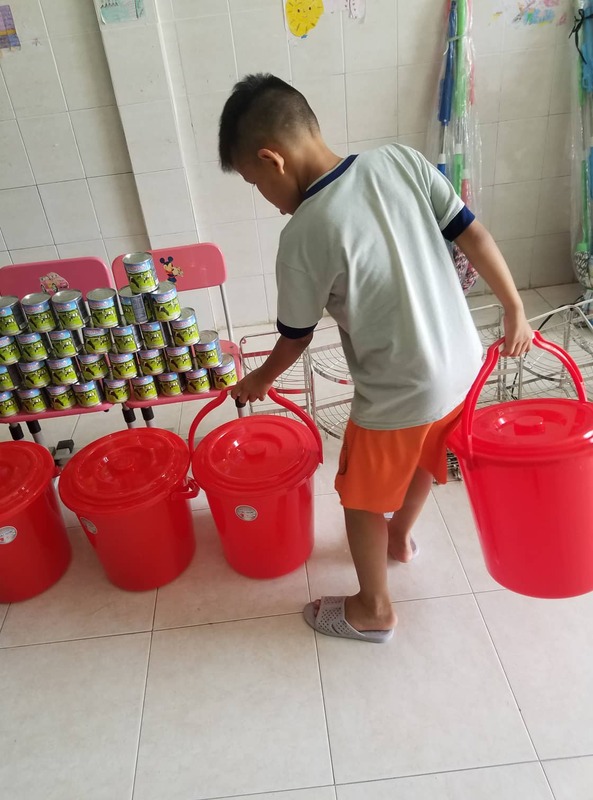 With so many children being cared for, it was no surprise that they asked for lots of new cleaning supplies and other essentials. 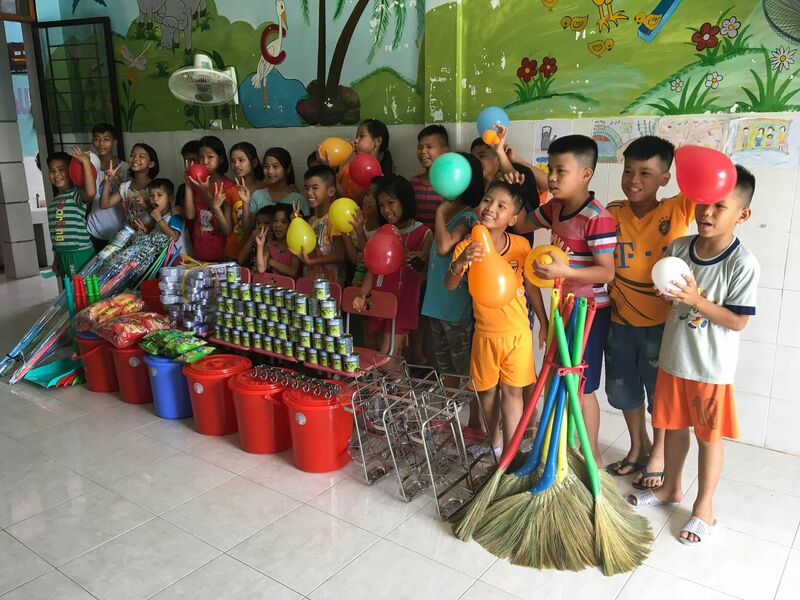 Our team bought everything the caretakers had requested, loaded up a van, and drove out to the orphanage. 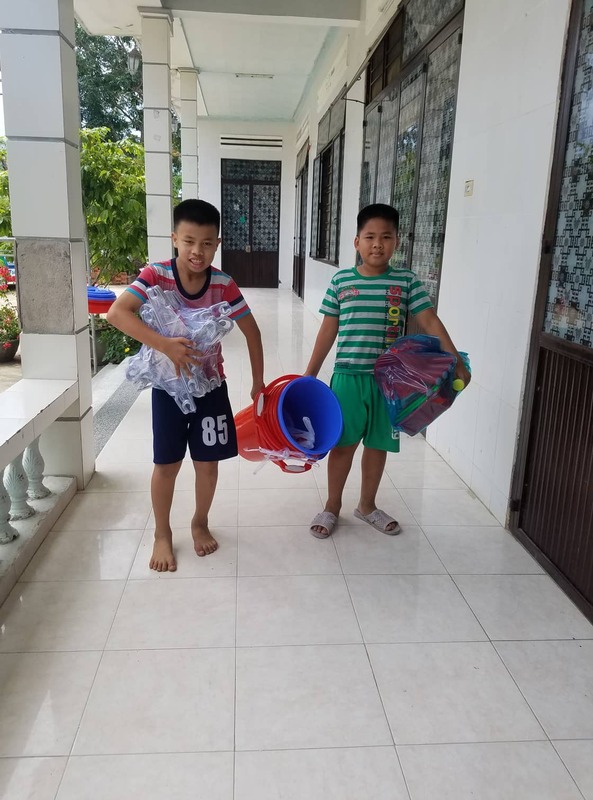 The children were excellent assistants and helped carry everything from the van into the common room. 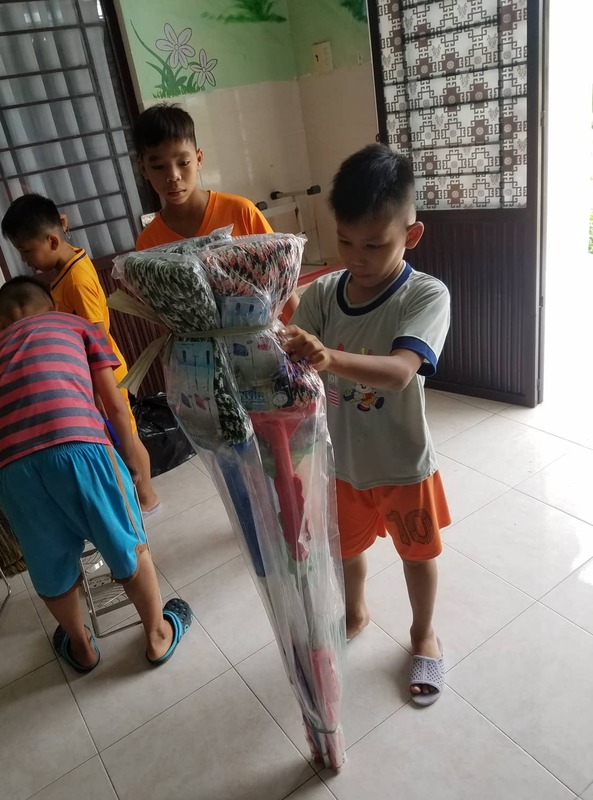 The children helped put some items together and made a nice stack of supplies. 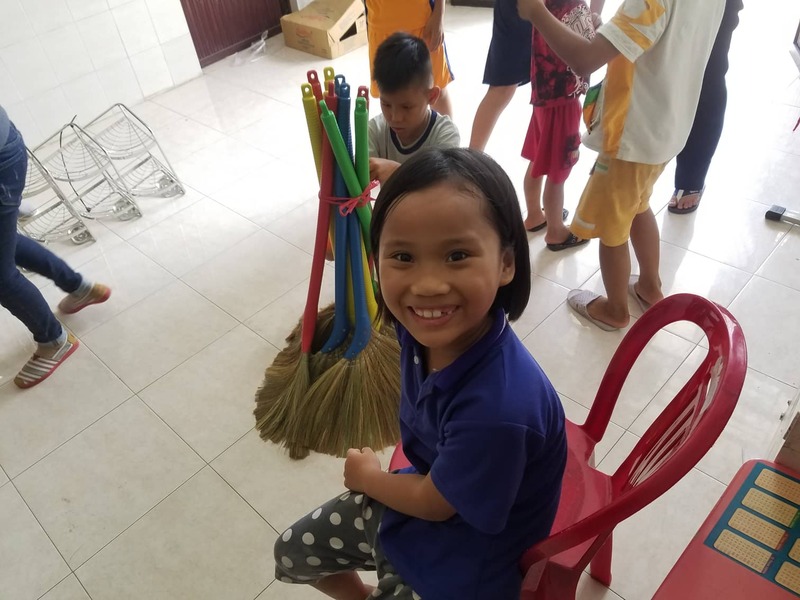 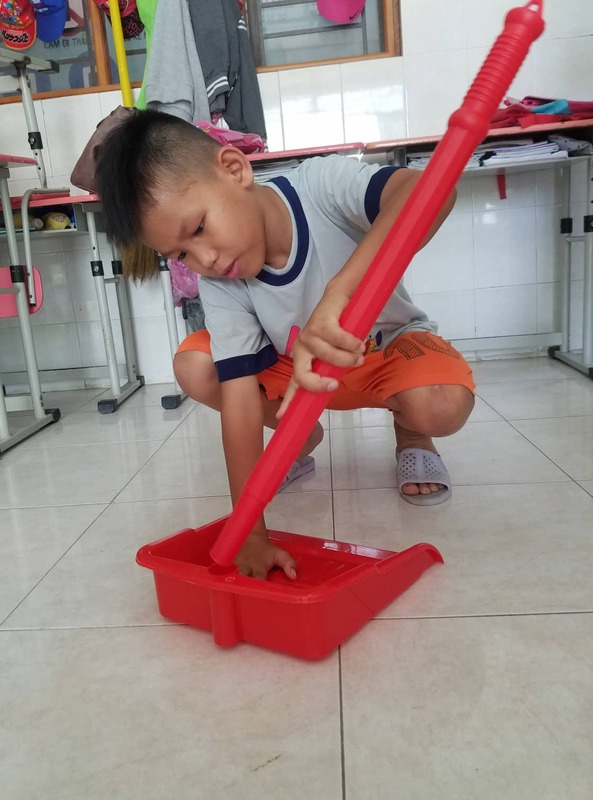 We brought new mops, buckets, brooms, dustpans, pails, bathroom racks, bathroom hooks, condensed milk, snacks, and balloons. 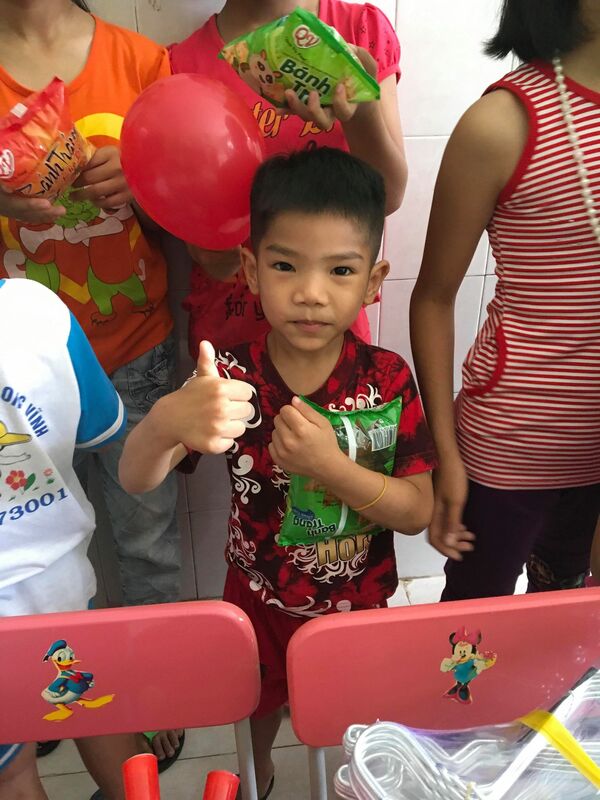 The children had fun with their snacks and balloons and we stayed for a nice visit. 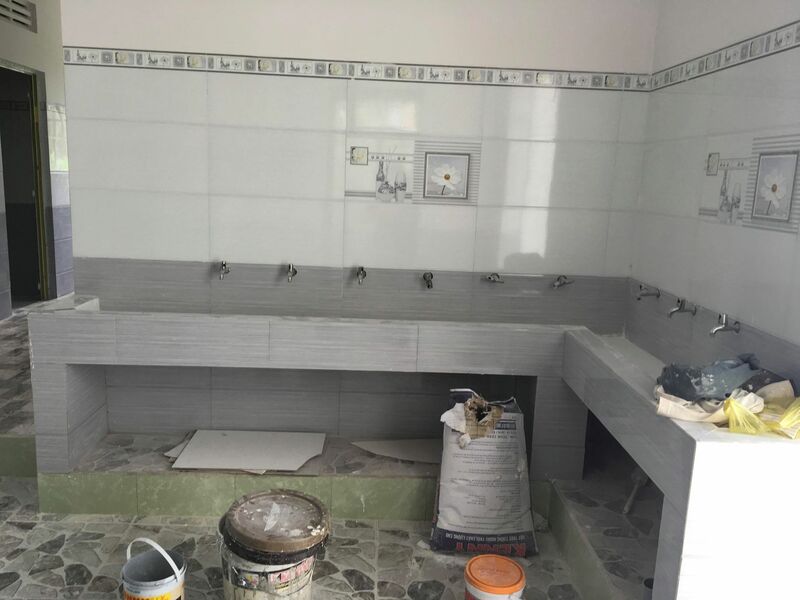 The caretakers also showed us the orphanage’s recently expanded bathroom facilities, which look fantastic. 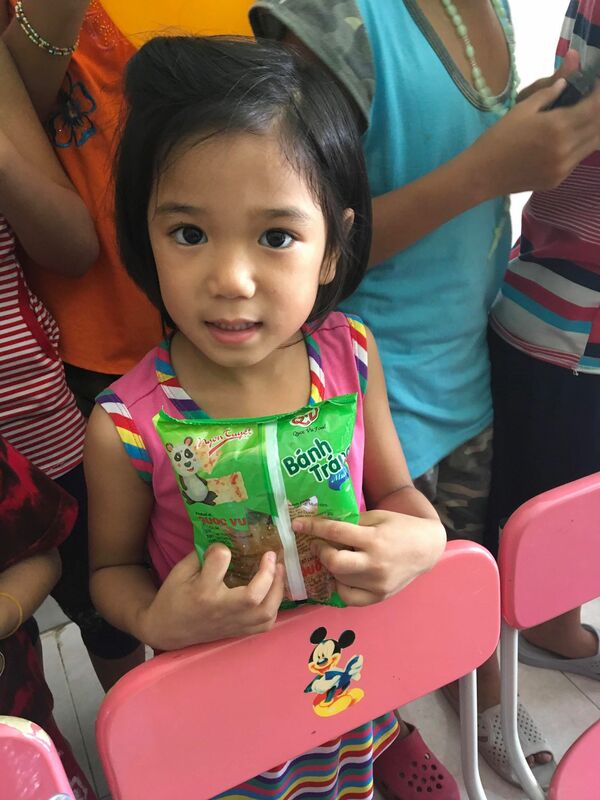 This trip was made possible through the kind donations of Sharon Kelly and Stephen Milne.